Alt P/N. : 730792-001 KSB0805HB-CM23 6033B0033202 .. Note: Laptop manufacturers use a few different Brands of CPU Cooling Fans Inside Cooler 730792-001 KSB0805HB-CM23 6033B0033202 for HP EliteBook 740 745 750 755 840 850 ZBook 14 15u G1 G2 Series Notebook PC. Please enlarge the actual pictures, check Product Specifications and compare with the original item in your laptop. The customer is responsible for ordering the correct laptop cpu cooling fan. 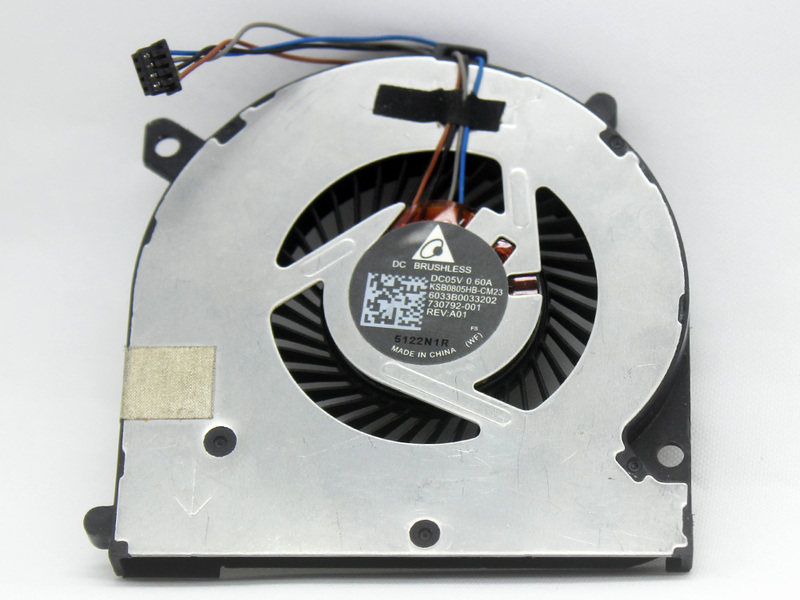 Never Order Refurbished/Used CPU Cooling Fans from other sellers, Order Brand New Genuine CPU Cooling Fans from us.